The guardians of Iran cannot tolerate curiosity. Is that why Canadian-Iranian journalist Maziar Bahari is in jail? 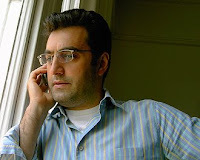 When we got the news about our friend, documentary filmmaker Maziar Bahari, there was the feeling it couldn't be real. Yet, it's happening again: A truth-teller becomes the pawn of a totalitarian regime. Only this time, it's more calculated, and the stakes are higher in Iran. Mr. Bahari, a 42-year-old Canadian journalist working for Newsweek in Tehran, is a talented, curious and compassionate person. A dual citizen, he is being held exactly because he possesses those qualities. No one knows quite what the government has in store for him. He is a door opener on Iran, and has worked for a huge array of news agencies and independent NGOs over the years - the way documentary people do.